I would get it again and recommend it for sure. Love it best car I had but is hard to work on and is expensive to fix. It drives well and get compliments on it. I would totally own another same year if not older. They just do not make cars like that anymore. What more to say. Wish it was made like that again. Has good seats in it for being 18 years old interior really held up. The car has plenty of room in the trunk and back seat. Was having issues with the spark plug boots and until I changed all of them at one time that is the spark plugs and the boots my car a little sluggish before that and when you do not drive it a lot it runs really hard. I have to put it on the freeway to blow it out. Jaguar S Model- No regrets. Everything worked as required and with elegance. 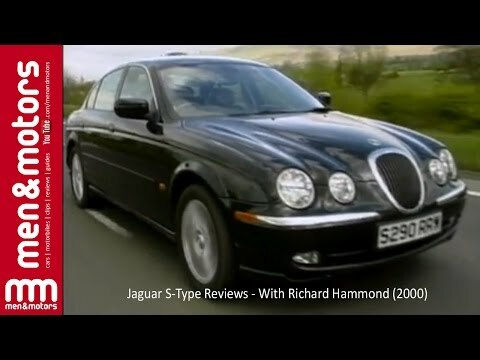 Jaguar S Type 2000- Very reliable and sturdy with comfortable seats. Eats a little too much gas, given that it is premium. Expensive parts to replace any parts. I love this car, specially the motor. On certain passenger vehicles, the front suspension lower ball joints were not tightened to specifications when they were attached to the lower control arms. If the ball joint attaching nuts are not adequately tightened, they can loosen and, ultimately result in fracture of the ball joint stud. If the ball joint fractures, control of the vehicle could be affected, increasing the risk of a crash. Dealers will inspect the torque on the two ball joint attaching nuts. Vehicles with loose ball joint attaching nuts will either have the fasteners tightened to specification, or if necessary, the ball joints will be replaced. The manufacturer has reported that owner notification began Nov. 27, 2000. Owners who do not receive the free remedy within a reasonable time should contact Jaguar at 1-201-818-8500.